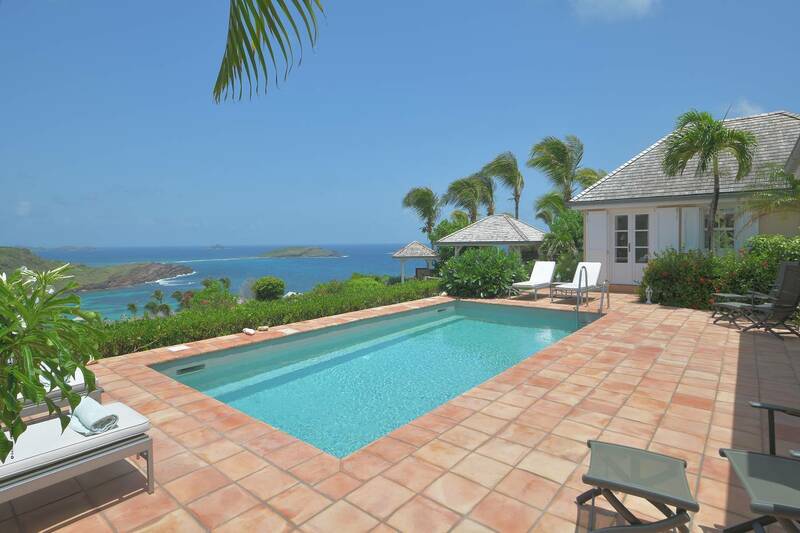 Dream About: A poolside lunch, followed by a swim at nearby Petit Cul de Sac. 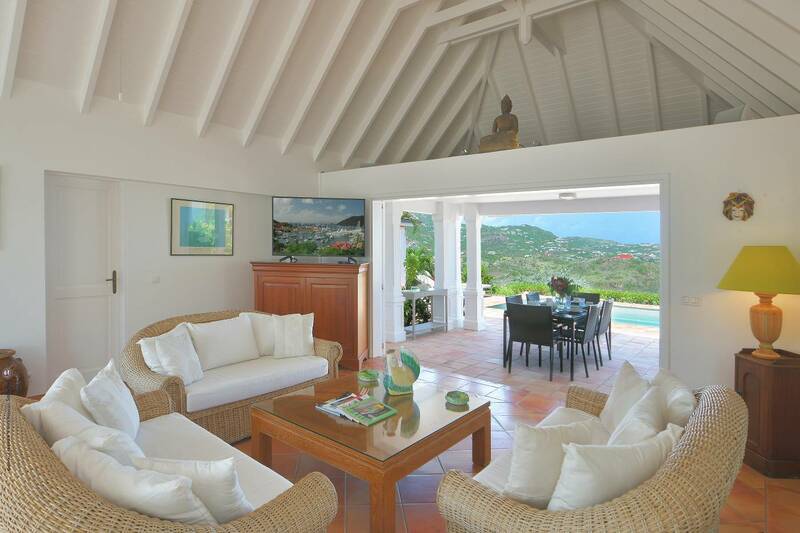 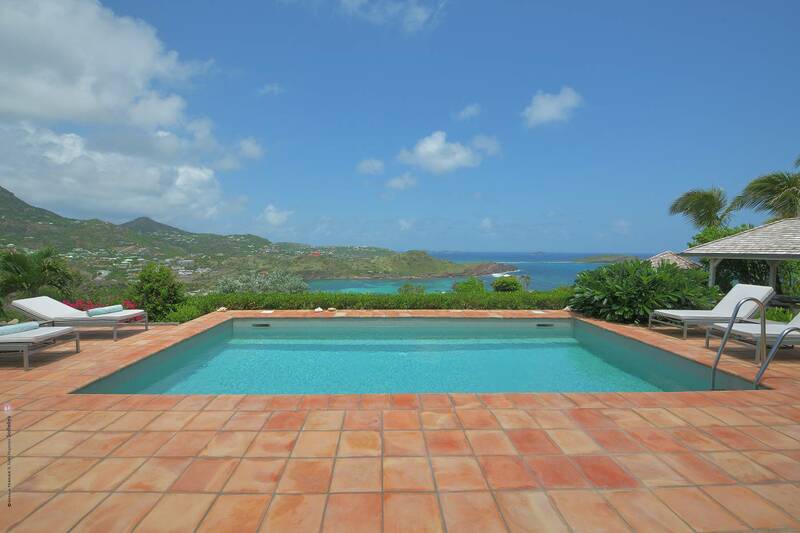 Enjoy the great view from this tastefully decorated three bedroom three and a half bath room hillside located in the exclusive Domaine du Levant. 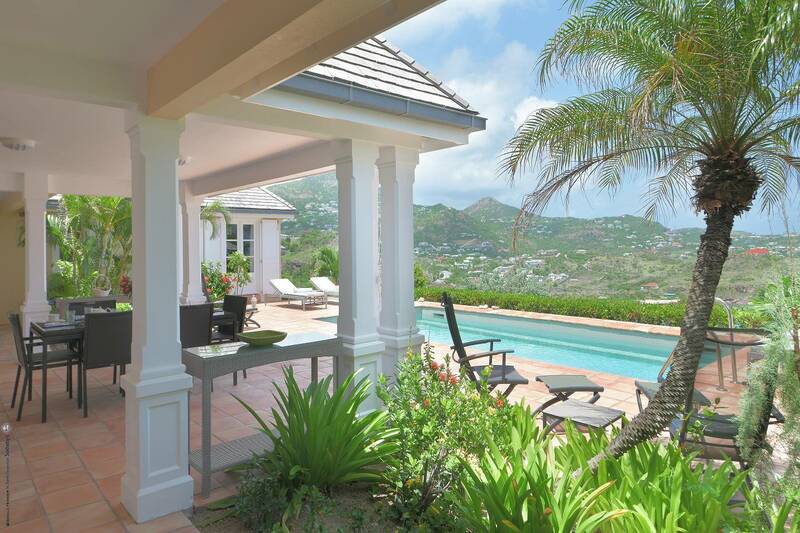 The gourmet kitchen and dining room are next to the living room that opens to a covered dining terrace which overlooks the pool area and BBQ gazebo. 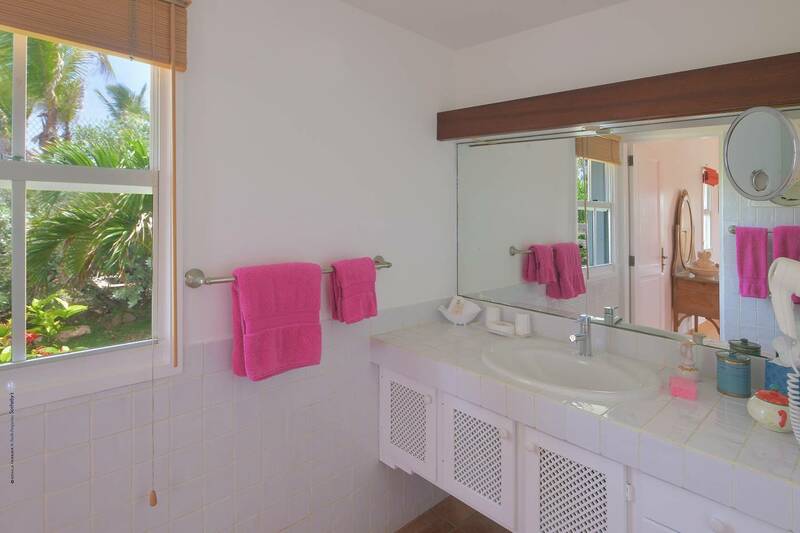 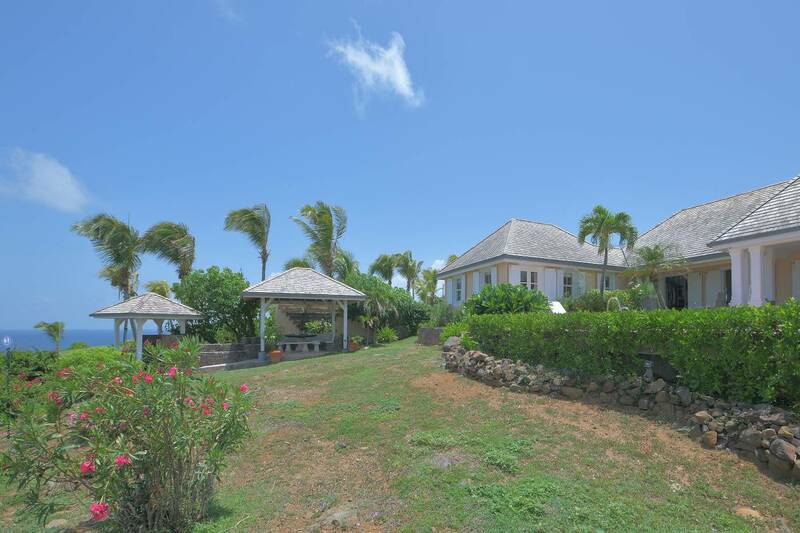 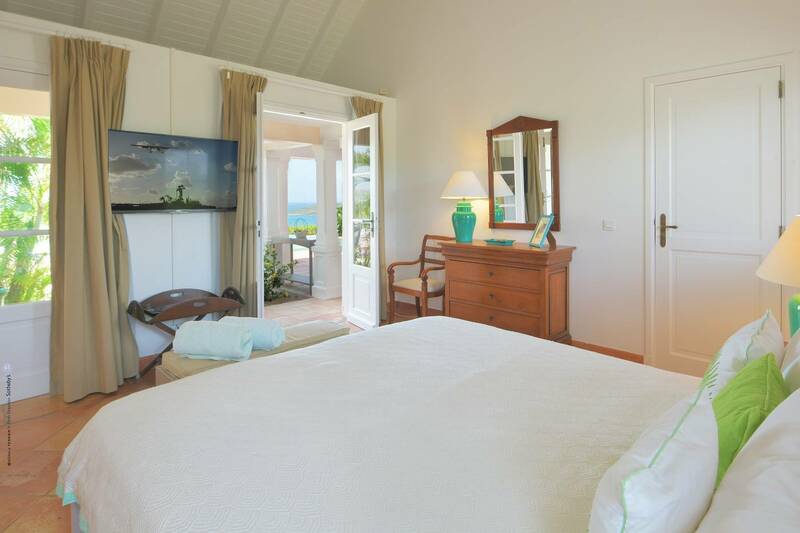 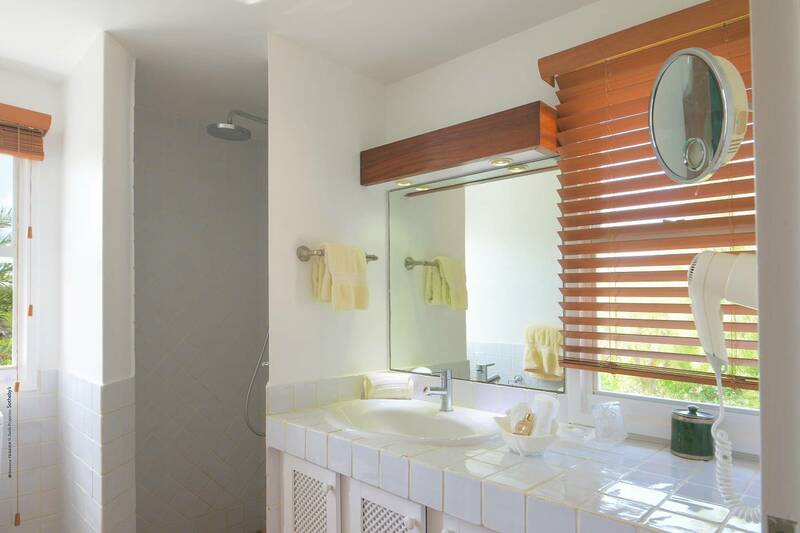 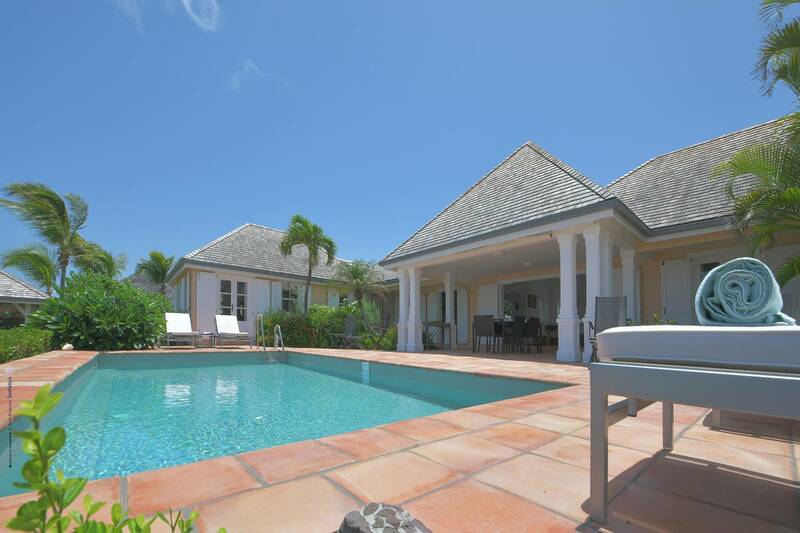 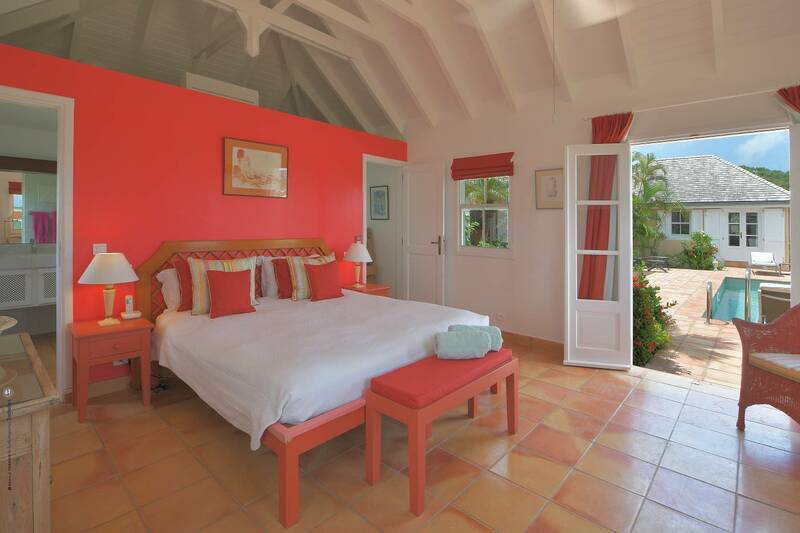 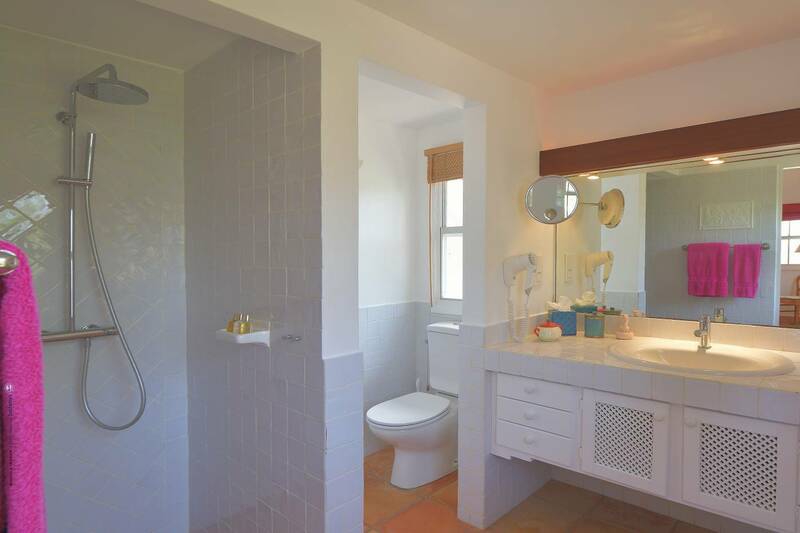 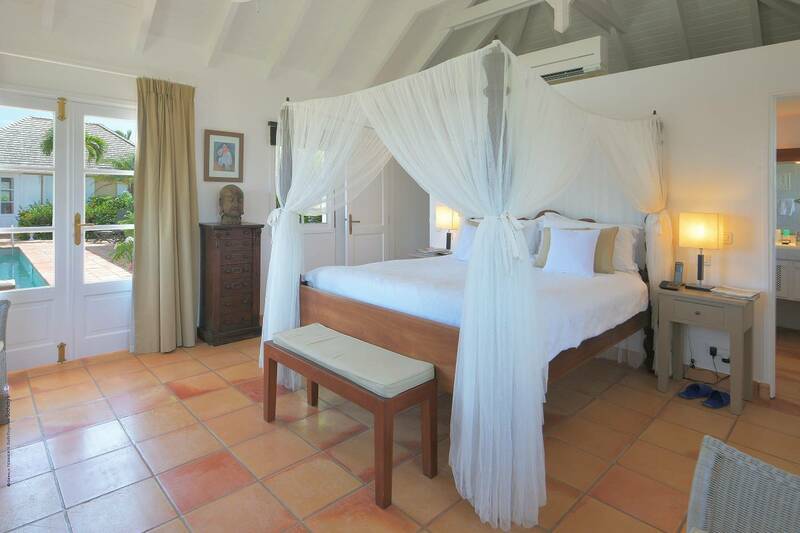 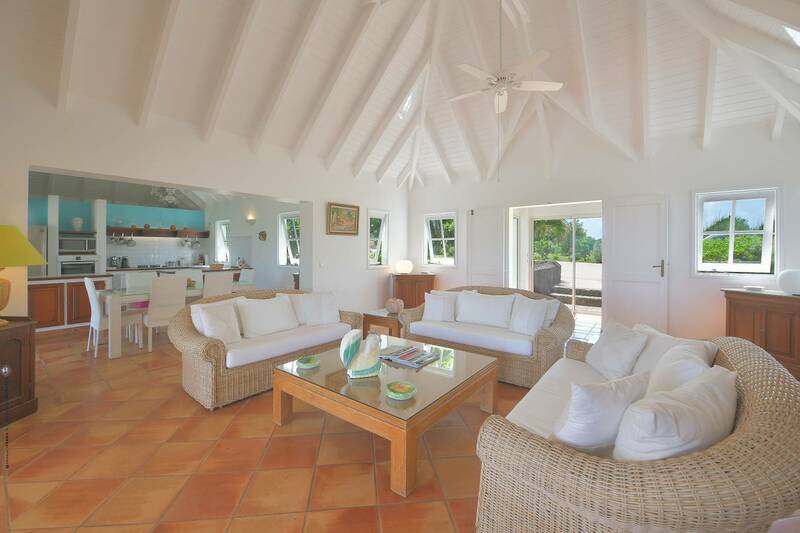 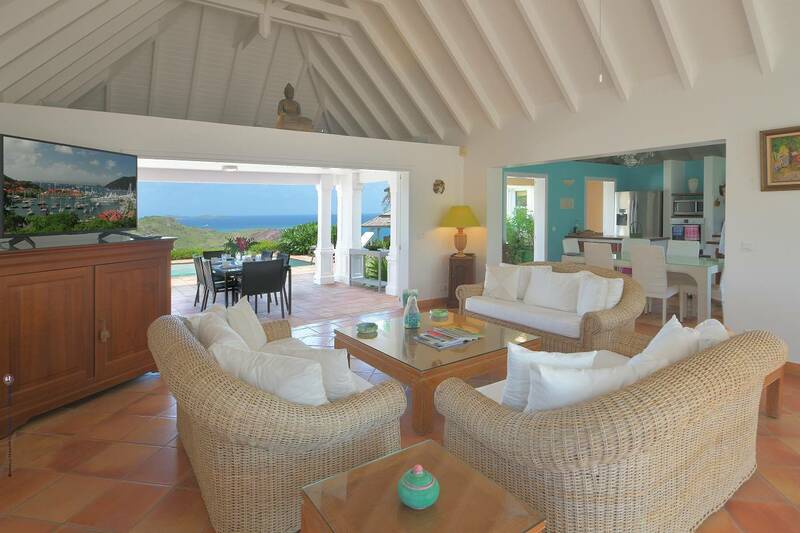 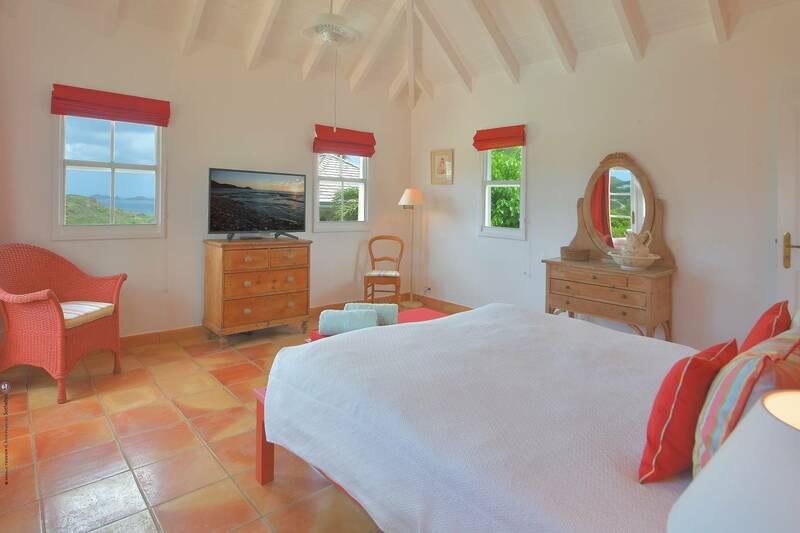 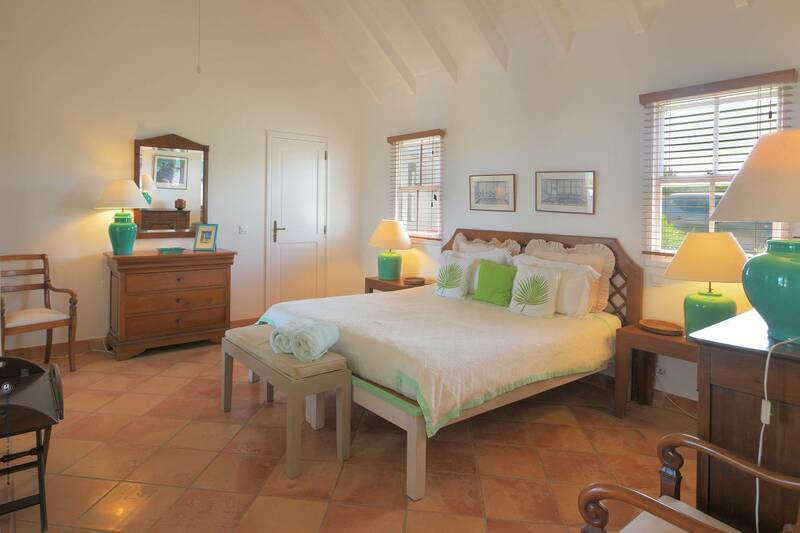 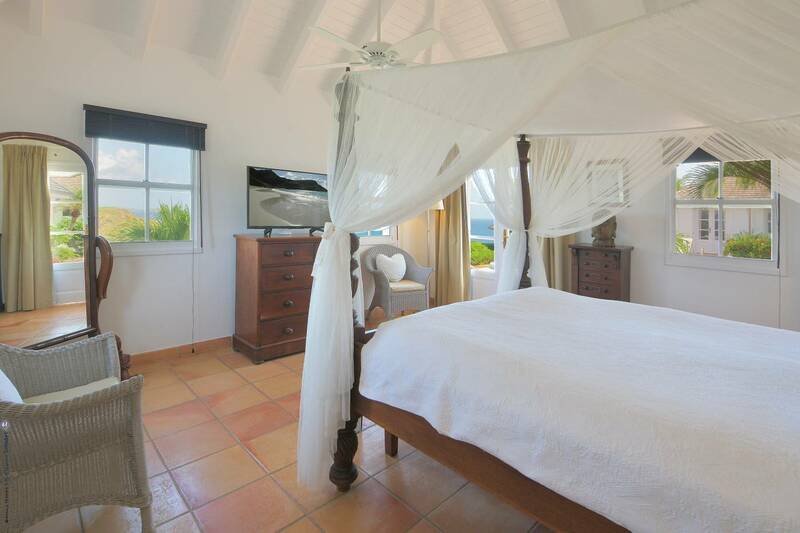 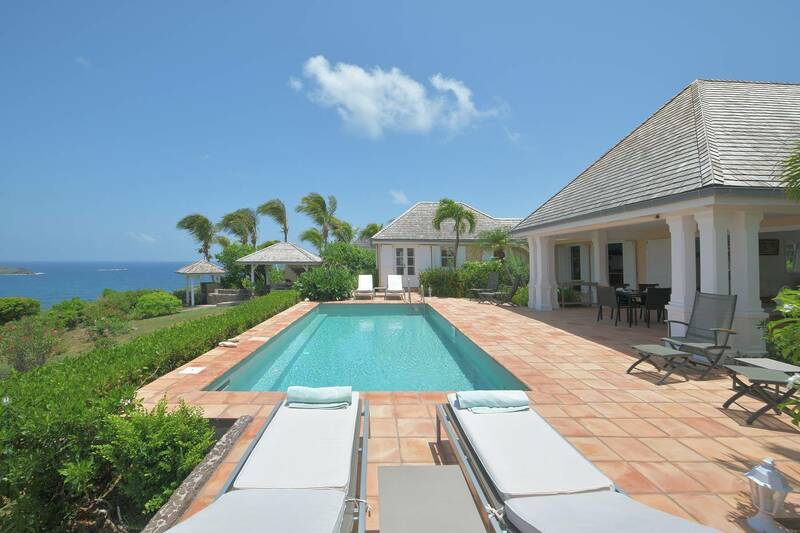 Two bedrooms with ensuite baths are on one side of the villa, while another bedroom and bath are on the other side. 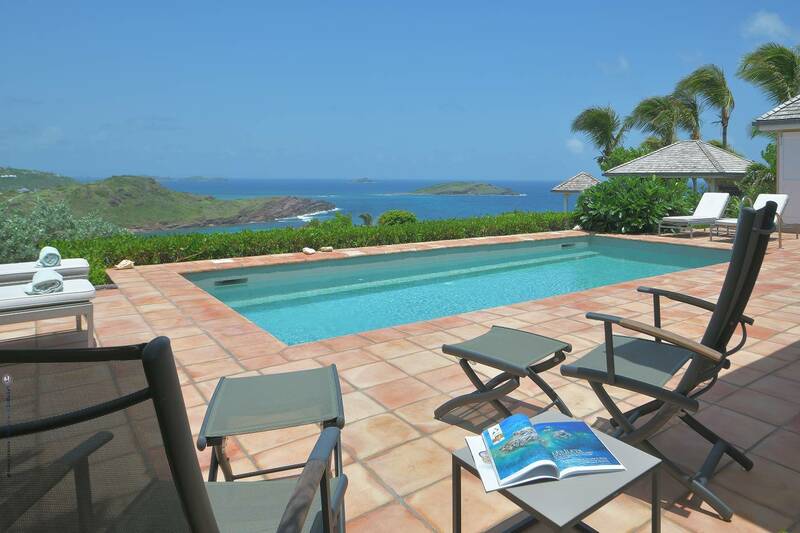 Walk (steep) to Petit Cul de Sac beach below. 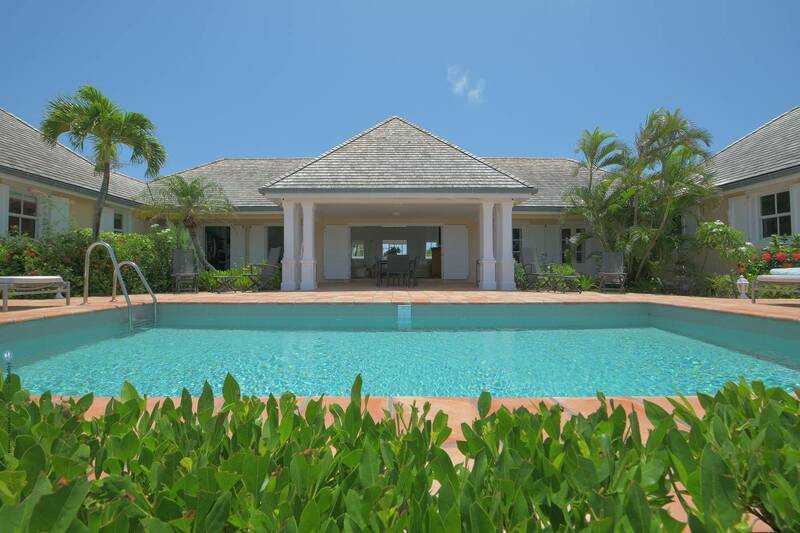 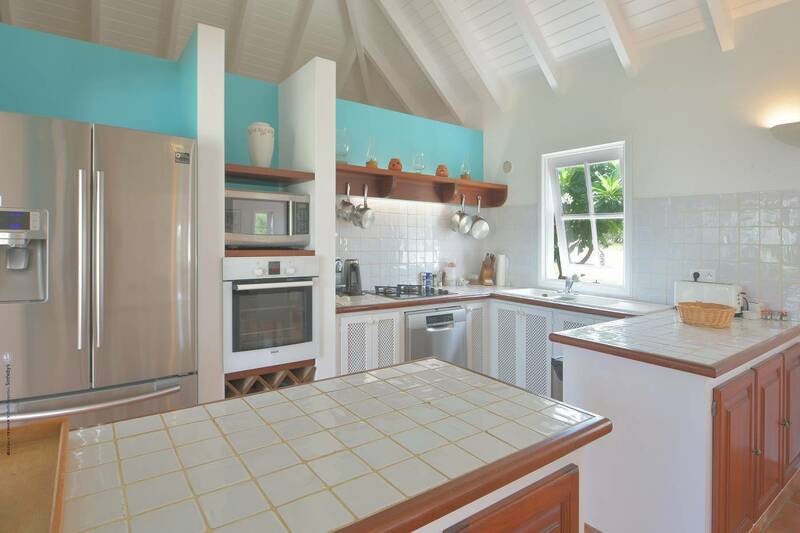 Airy indoor living spaces open to a pool terrace with a covered dining area and a gazebo; 3 bedrooms, 3 ½ baths.